A form of condenser attaching to the limb rather than the stage or standing alone, is uncommon. 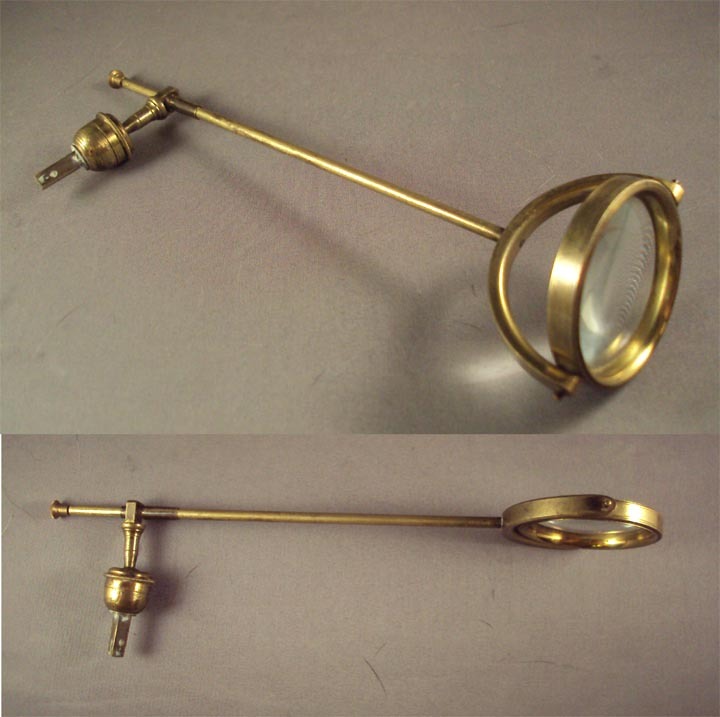 Like the more commonly supplied stage condenser, it focused a light on an opaque object from above, thereby serving a similar purpose to a substage mirror for transparent specimens. This example attaches to the limb, rather than the stage and has several adjustments including the angle of the condenser. A ball-and-socket joint allows flexible positioning of the device. 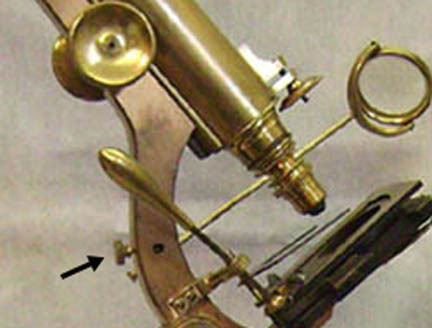 Later a similarly-jointed parabolic reflection mirror was offered, also fitting into the square hole in the limb. Both accessories are held in place with a knobbed set screw on the rear of the limb.